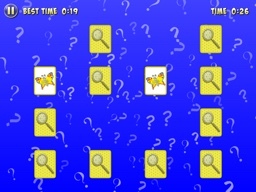 Throw balls to hit targets in this dunk tank carnival favourite. 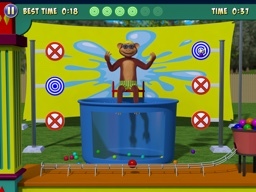 You’ll test planning, timing, and fine motor skill to dunk the monkey. 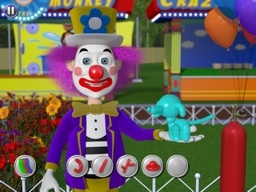 Noodles the Clown can make almost any balloon animal you can imagine. Get creative and design your own balloon masterpiece. 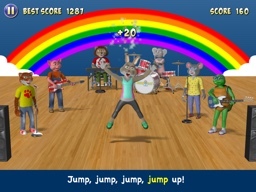 Teach Bonny Bunny how to dance in this game of rhythm and music, or sing along with 5 original songs.  It’s a fun and frantic fun game of quick reactions. 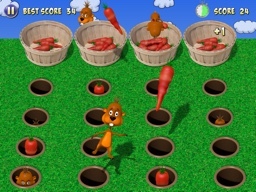 Pick carrots as fast as you can, but don’t pick a groundhog or he’ll take a carrot. 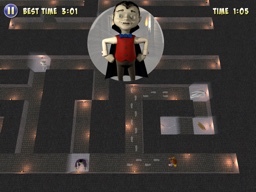 Find your way through the maze and past all the silly monsters. It’s never the same maze twice in this mini adventure of exploration and discovery. Sticky Penguin has more orders than he can handle. 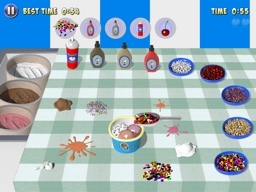 Pay close attention to the sequence of ingredients, and test your concentration in this hilarious sundae making race. All aboard! 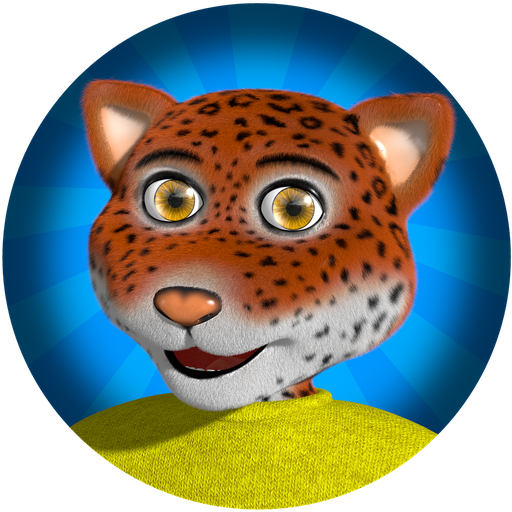 You’re the engineer on this train ride, and will have to use logic and planning to pick up all your friends. Is your memory as good as Emily the Elephant? You’ll find out when you play Mystery Match. 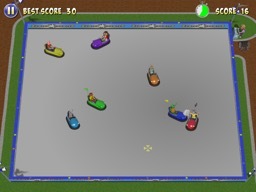 Everyone loves a bumper car ride, and you’ll need strategy to bump cars with yellow flags while avoiding the car with the pirate flag.